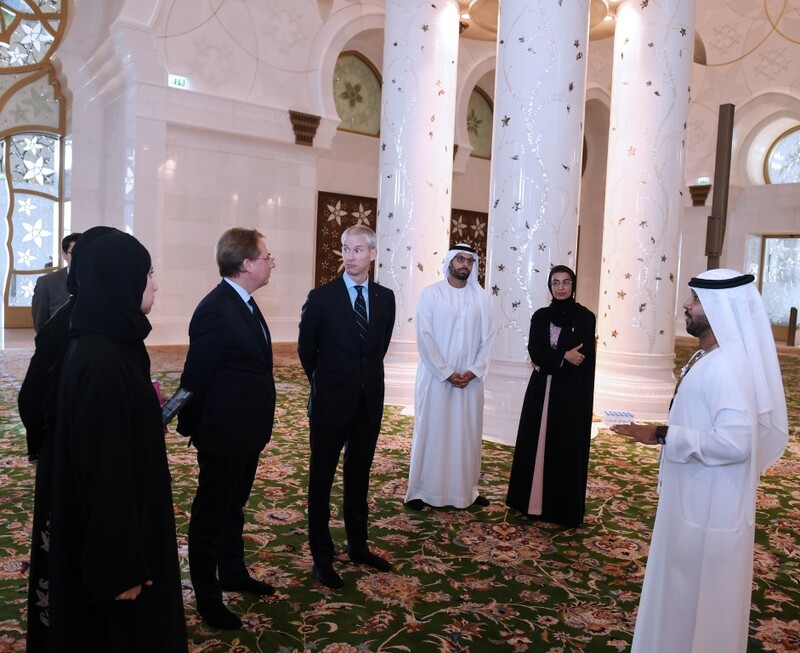 ABU DHABI, 9th November, 2018 (WAM) -- Noura bint Mohammed Al Kaabi, Minister of Culture and Knowledge Development, and visiting French Minister of Culture, Franck Riester, discussed the state of cultural ties between the UAE and France and reviewed important programmes and projects undertaken over the past months since the launch of the Emirati-French Dialogue. 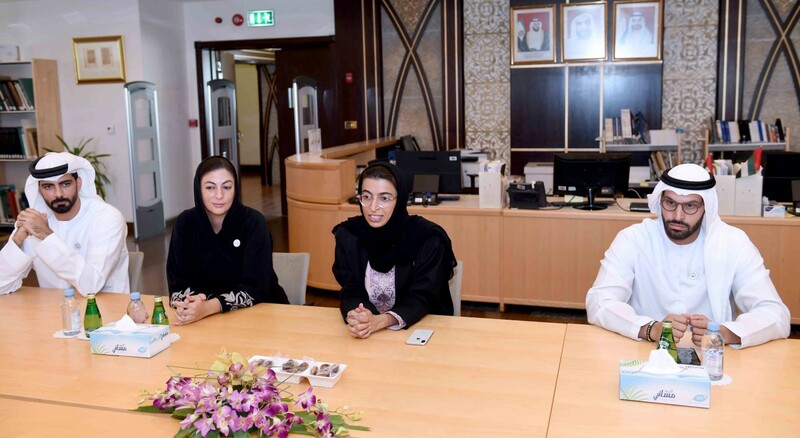 Discussions also included hosting training and exchange programmes, artist residencies for museum curators between prominent Emirati and French cultural institutions. The Emirati-French Cultural Dialogue that celebrates the historic bilateral ties seeks to increase joint cooperation in areas of innovation, arts and knowledge and launch new joint artistic and cultural projects for the youth in both countries. 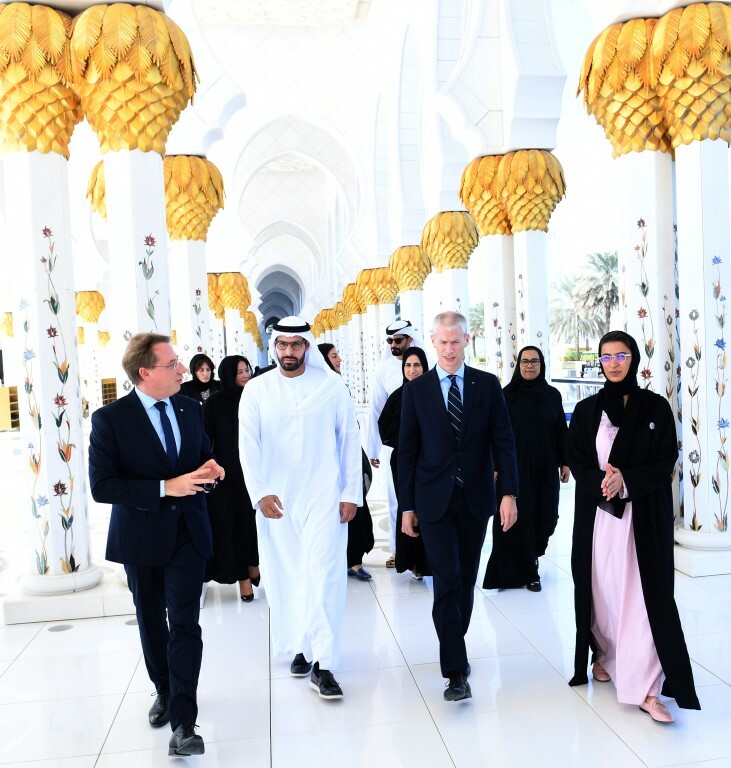 Mohammed Al Mubarak, Chairman of Abu Dhabi Culture and Tourism Authority, and Ludovic Pouille, Ambassador of France to the United Arab Emirates, attended the meeting.